What is the role for design excellence in establishing Pittsburgh as a resilient city of the future? The region is positioned on the cusp of transformative development, the like of which has not existed for a generation or more. But how can creative and thoughtful urban design help bring about a new golden age that benefits everyone in our Pittsburgh community? Join Grant Oliphant as he discusses the critical importance of creating a “Just Pittsburgh,” where all are included, a place that embraces creativity and innovation, and most of all equity and fairness for its people. These represent the key principles of the p4 Initiative: People, Place, Planet and Performance, launched last year by the Endowments in partnership with the City of Pittsburgh at an international conference hosted in Pittsburgh. Grant Oliphant is president of The Heinz Endowments. He rejoined the foundation in June 2014 after serving as president and chief executive officer of The Pittsburgh Foundation for six years. 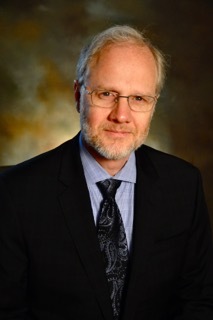 For nearly two decades, Grant held several senior management posts with Heinz family foundations, including vice president for programs and planning at the Endowments, his position before taking over the helm at The Pittsburgh Foundation in 2008. He also served as press secretary to the late U.S. Sen. John Heinz from 1988 until the senator’s death in 1991. Grant was The Pittsburgh Foundation’s fourth head in its 66-year history and led a major transformation in the organization’s engagement of key constituents, its efficient stewardship of its assets, and the development of groundbreaking initiatives to enhance services for donors and maximize grant-making impact in the regional community. This included the launch of The Pittsburgh Promise scholarship program for students in the city’s district and charter schools, and the development of Pittsburgh Gives, an online giving and research portal that has raised $13.5 million in two years for local nonprofits with special Day of Giving events. Both of these programs have become national models for similar initiatives by other community foundations and fundraising organizations across the U.S. In 2009, The Pittsburgh Foundation achieved a landmark in its history under Grant’s leadership with the formation of the Legacy Fund, creating for the first time a vehicle for the foundation to invest its own assets. Until that time, the foundation had delegated its asset management to outside organizations. In less than four years after Grant’s appointment, The Pittsburgh Foundation and its supporting organizations had received new funds, gifts to existing funds, and other charitable donations totaling more than $150 million. During his tenure, the number of donor funds grew by nearly 50 percent to more than 1,600 and assets grew to more than $820 million. Strategic development also included the realignment of The Pittsburgh Foundation’s grant making and the merger with the Community Foundation of Westmoreland County in 2010. Grant frequently leads community conversations around critical issues such as public school reform, civic design, the ongoing sustainability of anchor institutions, domestic violence, riverfront development, and various socio-economic concerns. He has taken a prominent role in building advocacy programs to support the work of local nonprofits and the families and individuals they serve. He serves extensively on the boards of local nonprofit and national sector organizations, including the Center for Effective Philanthropy, which he chairs. Grant is immediate past board chairman of Riverlife, which is working to transform Pittsburgh’s riverfronts, and also is a board member of the Pittsburgh Cultural Trust, which oversees the city’s celebrated Cultural District, The Allegheny Conference on Community Development, and the Pittsburgh Advisory Board of the Federal Reserve Bank of Cleveland.